The Miami MLS Ownership Group on Wednesday announced the name and crest of its new team – Club Internacional de Fútbol Miami. Team owners say the name celebrates Miami, one of the world’s most exciting and energetic cities, a truly global location that welcomes and embraces all cultures and communities. Club Internacional de Fútbol Miami represents Miami’s international, diverse, inclusive, creative and ambitious spirit, owners said. This will be a soccer club that is home to all, no matter where they are from, or how they got here, they said. Miami MLS Owner and President of Football Operations David Beckham added: “This is such a proud day for myself and for the entire team. It’s an honor to announce the new name and crest to our fans. We are taking another important step in establishing our club and today marks an important moment in the history of Club Internacional de Fútbol Miami. 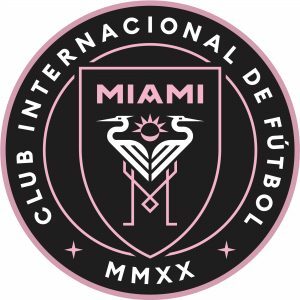 “Club Internacional de Fútbol Miami is a name that celebrates the incredible energy of one of the most exciting cities in the world – one that is diverse, passionate and ambitious – a city that has welcomed me and so many others, so warmly. Our club will be a home for all – no matter where you are from or how you got here. This is just the beginning of our journey as we continue to build towards our first game in 2020,” he said.